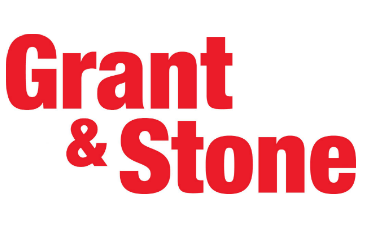 Established in 1987 and still family run with an ethos of supplying the best quality goods and un-matched service, Grant & Stone has flourished to quickly become recognised as one of the leading providers to the building, plumbing and electrical trades. Our dedicated team are always ready and willing to go the extra mile. Grant & Stone branches across the region opening hours are from 7.30am Monday to Saturday, our builders merchants, electrical wholesalers, plumbers merchants, timber merchants and kitchen & bathroom showrooms can supply everything required to build a house, from the foundations to the final decoration – all on one trade account! Find us at Peterley Manor Farm, Peterley Lane, Great Missenden, Buckinghamshire, HP16 0HH. Alternatively, call us on 01494 863 566 or email hello@peterleymanorfarm.co.uk. DC Kaye & Co Solicitors prides itself on its approachable, friendly service. It is important to us that in advising our clients on legal matters our people understand and empathise with each client’s situation. We aim to adapt our service to suit the needs of each individual client. Our solicitors provide a full legal service for families, individuals and business clients. As a high street firm, we have both versatility and expertise to provide an efficient and cost effective service across the full spectrum of legal services that our clients demand. We specialise in legal services assisting our business clients from start to finish in their commercial activities. Email us at office@dc-kaye.co.uk or call your closest branch. We are a unique charity shop run by local volunteers, successfully trading since November 2010. The Board of Trustees has been allocating and distributing money back into the local community (Civil Parish) through grants to eligible groups. This money has been raised solely through donations to the Charity Shop. In total to date (August 2013), we have allocated more than £50,000 to local groups. Find us next to Prestwood Post Office or call us on 01494 865922. Traditional master butcher with top quality cuts of meats. Find us in Chequers Parade Wycombe Rd, Prestwood, Great Missenden, HP16 0PN or call us on 01494 864013.